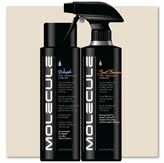 Molecule Wash effectively cleans Nomex fabric (and other technical fabrics) in standard washing machines. It is formulated specifically for the critical requirements of Nomex racing suits. And it is expressly designed to remove the unique oils, fuel, and soils that are often encountered in the racing environment. Plus it contains an antimicrobial agent to inhibit the growth of bacterial odors, so you’ll feel fresh longer. Molecule Spot Cleaner penetrates deeply into Nomex fabric (and other technical fabrics) to safely dissolve and suspend tough spots and stains. Powerful ingredients quickly break down spots and stains that can degrade fabric performance. 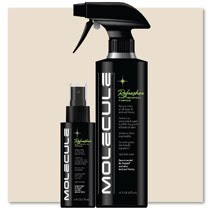 Molecule Refresher keeps suits fresh over long racing weekends and between washings. It contains an antimicrobial agent to inhibit the growth of bacterial odors. Simpson products can be ordered by calling 800-654-7223 or online at www.teamsimpson.com. Simpson World retail locations are located in Harbor City, CA, New Braunfels, TX and Mooresville, NC.Since 1959, Simpson Performance Products has been the leading safety manufacturer in the motorsports industry. Simpson believes in putting safety first and is dedicated to elevating the standards of racing safety through continuous development, refinement and testing. The one thing that remains constant is Simpson’s commitment to racer safety.